News came last week that a group of charities, led by YoungMinds, will lead a drive to improve the UK voluntary sector’s ability to provide mental health support for children and teenagers. Introducing the initiative, one of the key aims stated by Sarah Brennan, boss of YoungMinds, was to ‘increase the confidence of all commissioners to invest sustainable funding in the sector’. At NPC’s Well-being Measure, we couldn’t agree more. We know that government commissioners sometimes have the perception that charities lack professionalism and don’t have enough evidence . That’s one of the reasons we are here – to help charities overcome that perception and provide a low cost means of getting reliable and robust data on your work. Much of the emphasis of the new initiative is on training and providing information, but it will also seek to promote the most effective interventions. Emphasing the important of results, it has been called the Bond Consortium (Better Outcomes, New Delivery). We welcome this new initiative and wish it well. 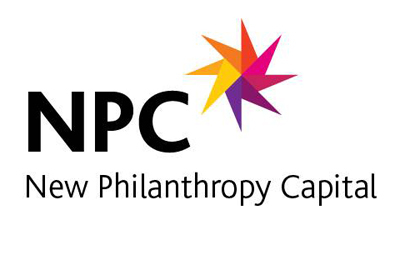 As the debate progress we hope NPC will make an important contribution to measuring outcomes for the future well-being of young people. You can read the press release for the launch of the Bond Consortium here. * The consortium also includes our friends at Youth Access, The Place2Be, and the Mental Health Foundation, as well as the Afiya Trust and FPM. £3m has been invested over two years by the Department for Education. This entry was posted in General Well-being. Bookmark the permalink.